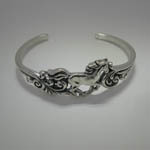 Desc: Sterling Silver galloping horse cuff bracelet with filigree. 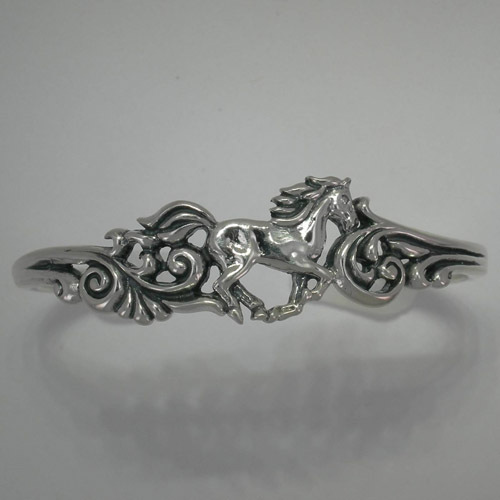 The Arabian horse is galloping along at the apex of the bracelet. 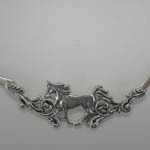 The filigree work is mounted on either side of the horse. The bracelet has a bright polish finish. Made in the United States of America. 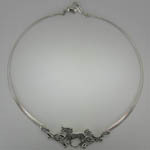 We have a matching necklace, see SK857.